The intrepid narrowboating crew of international fame, are setting off on yet another adventure into the unknown this Saturday 25th June. Against advise, they are going to attempt a reverse anticlockwise transverse of the Warkwickshire Ring with an dangerous diversion onto a section of the rarely used Stratford Canal. 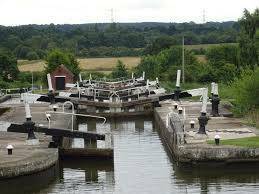 A total of 119 locks must be operated on their journey of 103.5 miles in just one week!! 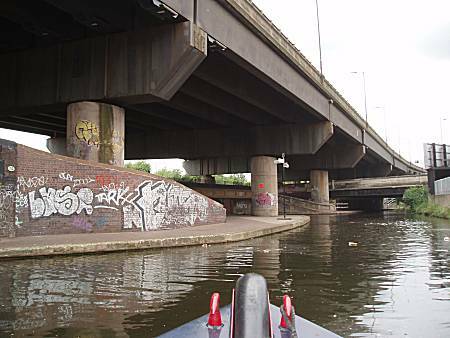 The crew chose to ignore advise about avoiding such obstacles as the Hillmorton Locks, Fazeley Junction and the 39 locks on the section into Birmingham beneath the mighty M6 Spaghetti Junction. 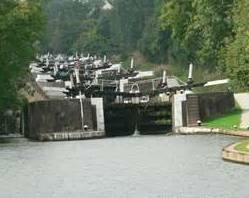 The flight of 21 giant double locks, on the Grand Union Canal, known as "The Hatton Flight" will need to be conquered before they can reach their destination, breaking even more records in the world of Extreme Narrowboating. 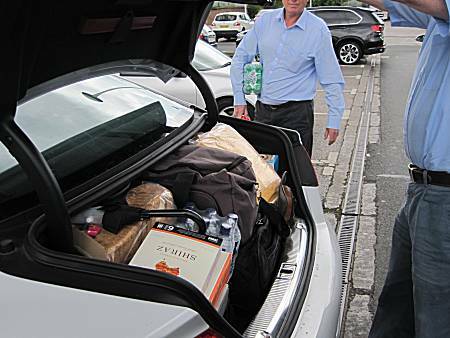 The crew met at Alan's house at spot on 9:30am and set the navigation system on Tom's car for Tesco in Rugby before departing southwards at great speed. They knew that this would once again be a dangerous mission, but realised that leaving Yorkshire without the protection of the EU just might prove to be too much even for such an intrepid crew!! 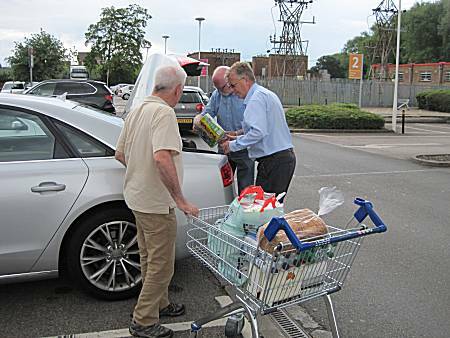 The staff at Tesco were awaiting the arrival of the famous mariners, but the crew waived their offer of help and rapidly obtained sufficient wholesome food for the week. No pork pie or Hob Nobs were obtained!! DISASTER OCCURRED - On arrival at the boatyard the staff welcomed the experienced crew and quickly allocated the narrowboat "Jenny" to the crew for the week, but advised them that their departure could be delayed by many hours as their boat was stuck between two others and they did not know how to extract it. The crew quickly took control of the difficult situation and cunningly pushed the boats apart using their incredible strength and then Ron used a reversing procedure never before witnessed by the boatyard staff. The staff were left standing in amazement!! As the boat departed the marina a text book turn was made onto the Oxford canal and the narrowboat Jenny speed off towards Braunston. 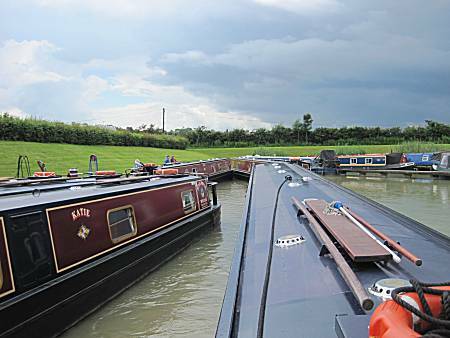 DANGER AHEAD - The crew had heard stories of a giant Narrowboating Festival taking place in Braunston this week, that may scupper their mission. 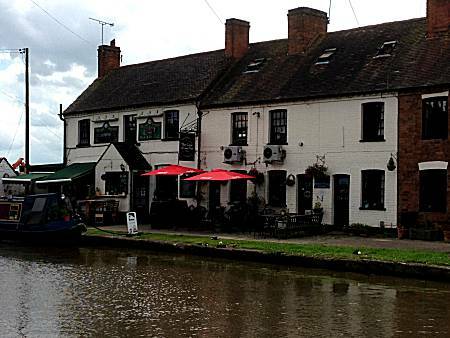 However, they were relieved to discover that the local folk of Braunston had heard of their important mission and cleared a free passage past the impossible junction with the Grand Union Canal. 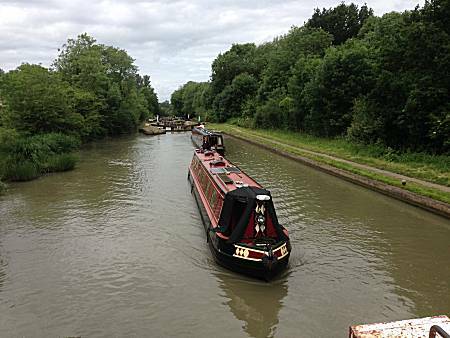 As 6 o-clock loomed, the crew (except Alan) felt football calling and being unable to get a picture on their on-board television, made an early stop, prior to the Hillmorton Locks, where a special mooring place had been prepared. The staff at the 'Old Oak Inn' provided the crew a private viewing and dining area with exclusive use of the remote control unit. Much football was watched as the crew enjoyed their well earned dinners with Green King IPA ales. Much later Alan was dispatched to switch on the central heating in the boat, where the crew compared notes on their first day's endeavours, whilst enjoying small quantities of cheese and biscuits with a little red wine. They retired to their bunks pleased with their first day, but acutely aware that their early stop had greatly increased the tasks required of them the next day. 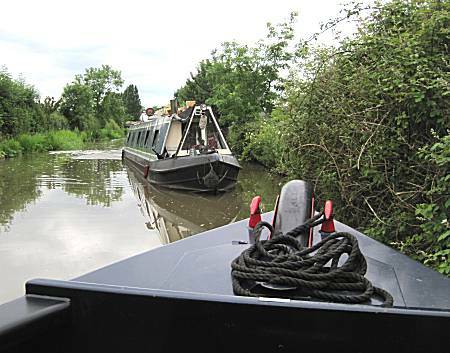 As the narrowboat was being skilfully navigated round a blind corner the crew were horrified to find a craft, with inexperienced crew approaching at high speed on the wrong side of the canal. However, only through their advanced boatmanship was a serious collision avoided, that could have spelled an end to their mission. 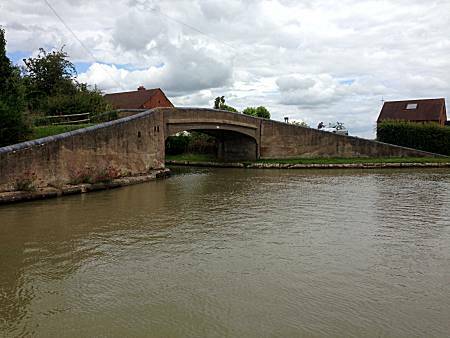 The crew estimated that their next dangerous obstacle, Hawkesbury Junction, would be reached at approximately 1:30pm. The mood on the boat remain subdued, as they all knew that the junction involved negotiating the 69 ft long narrowboat through a complete 180 deg turn. Many others had failed to achieve this task with devastating consequences. Will they survive? The planned destination for the day was Polesworth, which the crew instinctively knew was going to be a massive 12 hour day. This was to be followed by another long day on Monday into Birmingham, but this would make the remainder of the week somewhat easier. Because of the terrible conditions the crew didn't arrive in Polesworth until gone 8pm having selected their eating establishment for the night. Phoning ahead revealed that food stopped being served at 3pm on a Sunday!!! Phoning the alternative establishment, to reserve a table, due to the late hour, were calmly told "Sorry but we finished serving food now as a refurbishment programme starts tomorrow". The alarmed crew considered that desperate measures must be taken. Tom using his advanced food sourcing skills ordered the crew to moor at the next bridge where he quickly located a pub with an Indian Restuarant upstairs. The mission was saved after all !!! The crew awoke early in anticipation of another long day. 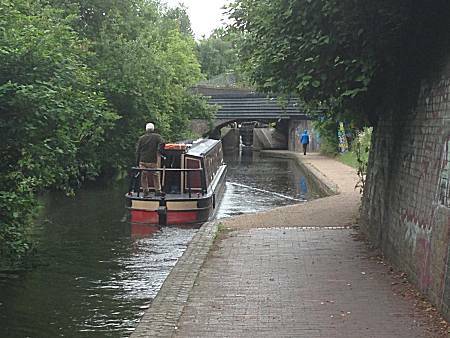 They departed their mooring and headed at record speed towards Fazeley Junction, which was reached in one hour. 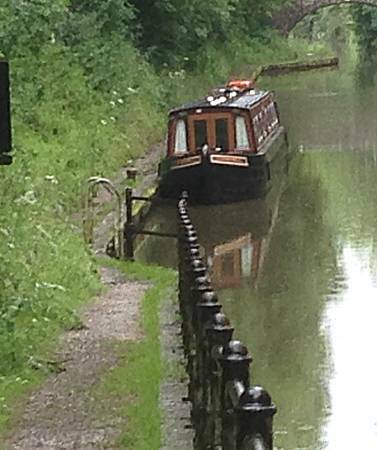 The junction was obvious not designed for 70ft long narrowboats, but the crew were able to free the boat without undue difficulty. 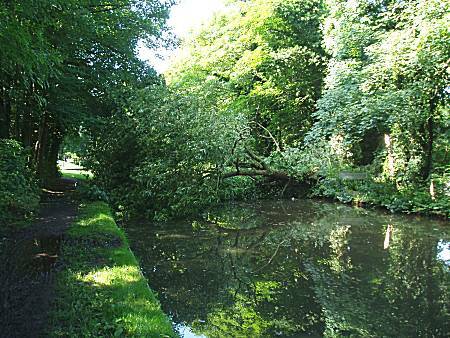 As a narrowboat ahead of them passed, with a deafening "Crack" a giant tree collapsed landing on the back of their boat. Quickly the crew moored and rushed to save the crew on the boat. The crew determined not to lose their night in Birmingham, quickly made plans to catch the Number 110 bus into the very centre, where they feasted on the delights of Gas Street Basin. After tasting mediocre bitter at The Malthouse they headed for the "All Bar One", where they whiled away an afternoon and much of the evening. A taxi return them to their boat where they were dismayed to see no progress had been made to clear the canal. Therefore with bear hands and penknives they quickly cut up the tree and re-opened the canal ready for an early departure in the morning. They knew that it might be some time until they saw civilisation again and therefore took the opportunity to fill their fresh water tanks to the very brim. 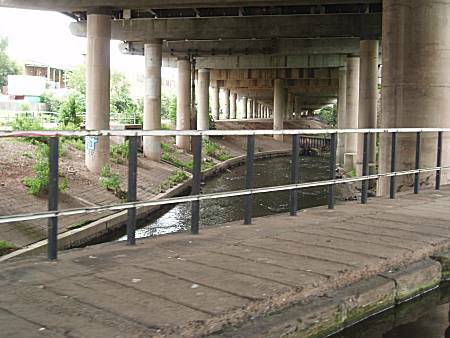 Soon the boat arrived beneath the mighty M6 motorway. 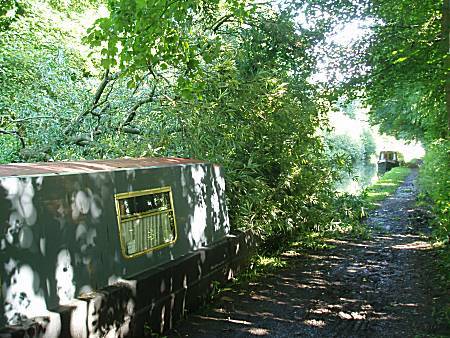 The back reaches of the Garrison Arm proved difficult, as it was obvious that no other narrowboat had attempted this route for many years. 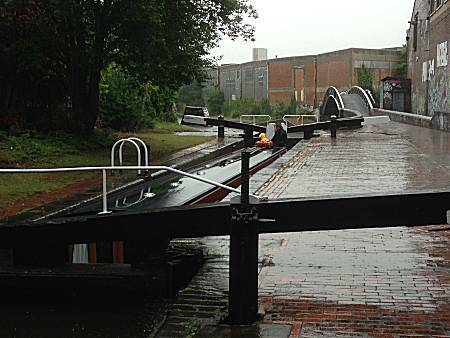 As the narrowboat made an impossible turn back onto the main Grand Union Canal at Bordesley Junction the heavens opened!!! The crew were determined to reach Catherine-de-Barnes for the evening, Ron volunteered to drive for the remaining 3 hours with an expected arrival time of 6pm. 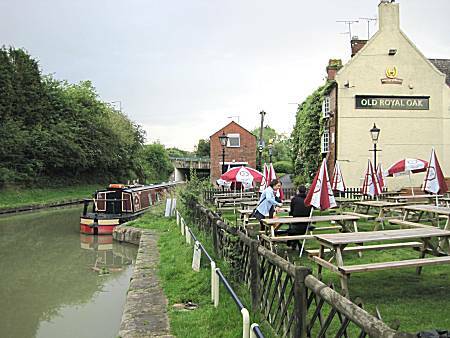 'The Boat' at Catherine-de-Barnes was selected for the crew's entertainment and the narrowboat adjacent to Bridge 78. A village shop sold the crew more supplies of bread, milk and ham, together with toilet rolls, but failed in the quishe and sparking water departments. Good value dinners were taken in the Chef & Brewer pub by the hungry crew, before they returned to the boat for an early night. The crew allowed themselves a lay-in today and rewarded their magnificent performance with porridge. 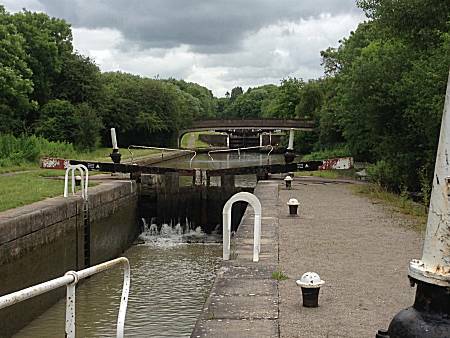 They cast off at 9am knowing that within 30 minutes they would reach the first of the massive Grand Union locks at Knowle. 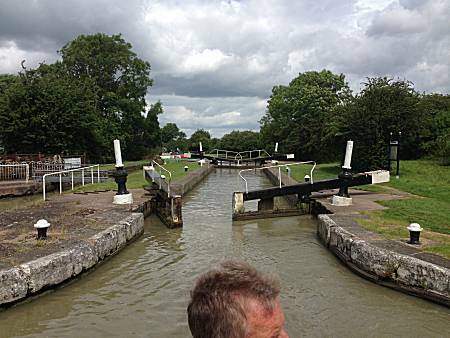 Very quickly the giant Knowle locks came into view and whilst Ron accurately steered the boat in the high winds, the locking crew prepared the locks in advance enabling yet another record to be broken. 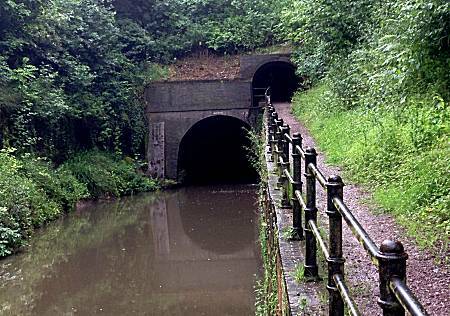 Due to the bad weather and the better forecast for the following day, the crew considered an early stop at Shrewley, mooring adjacent to the 400m long tunnel. 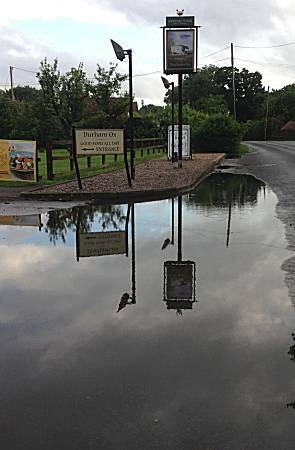 Although the crew had been able to find the pub, they were unable to enter the premises due to flooding. Would this mean that the intrepid crew would have to go hungry and thirsty??? Luckily the crew were prepared for the wet conditions and constructing a small bridge which enable them to enter the establishment, much to their great relief. They returned to the boat via a small Spar village shop, where they were able to purchase 3 small pork pies with some chicken and vegetable samosas for their lunch the following day. After their long and wet day they retired for a well earned rest, but knowing the giant flight of 21 Hatton locks lay before them in the morning. The crew awoke early, but were unable to manage any of Ron's porridge, due to the extreme stress that they were experiencing. 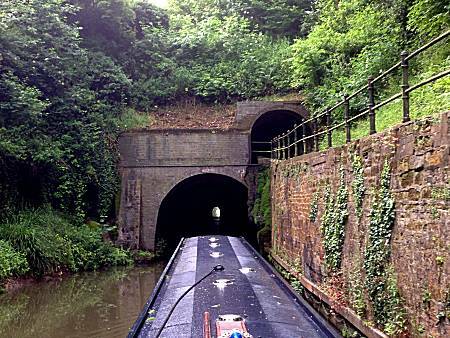 Setting off towards the start of Hatton Locks they completed Shrewley Tunnel in a record time, showing no fear. Only too quickly the Hatton flight of 21 giant locks came into view. 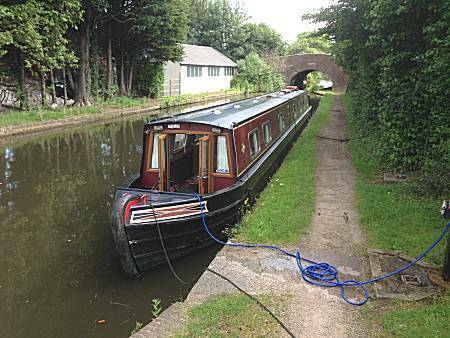 The narrowboaters quickly found two other craft with inexperienced crew and characteristically chose to 'buddy' up with them and share their skills. They learned that one crew was from Holland and the other from Switzerland. They ignored suggestions that they were spies trying to gather the secrets of extreme narrowboating from the intrepid crew. As the craft passed the 'Cape of Good Hope' the cunning crew took the opportunity to fill their fresh water tanks. Knowing how far ahead of schedule they were, they planned a lunchtime stop to consume their heated samosas together with cold pork pie (Except Alan). Only a short distance now lay between the boat and Long Itchington, their planned stopping point for the night. They fondly remembered previous missions, with an evening at the 'Two Boats', whilst they sped through the outskirts of Warwick and Leamington Spa. Surely there could be no more disasters now !!! 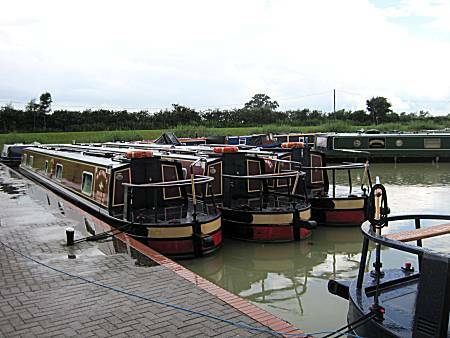 Mooring was difficult in Long Itchington as news of the arrival of the famous crew had spread and crowds of adoring fans awaited their arrival. The crew cunningly chose to moor short of the village in a quiet session adjacent to an aqueduct. They sent Tom and Ed onward to test the ales who chose 'The Cuttle Inn' opposite The Two Boats for their evening. The crew cast off at 8am and quickly headed towards the start of the Stockton flight of 10 locks. Conditions were good as they entered the locks, buddying, with another narrowboat to save water. The crew were relaxed without a worry in the world, knowing that they could not fail to reach their objectives. 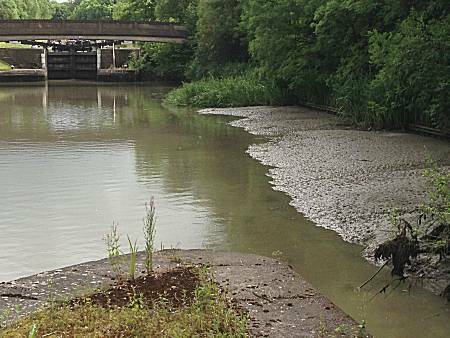 The crew could not believe their eyes when they saw that the pound between locks 7 and 8 was almost empty and completely impassable!!!!!! This can only spell the end of the mission!!!! 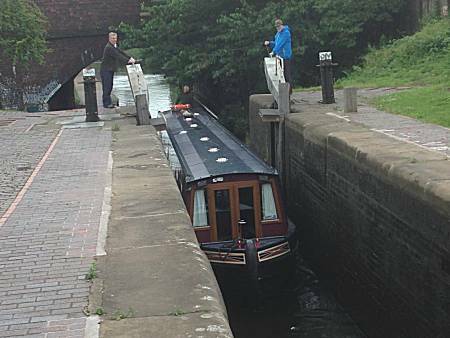 The experienced narrowboaters quickly located the problem of a gate left open and a paddle left in the wrong position by inexperienced boaters. 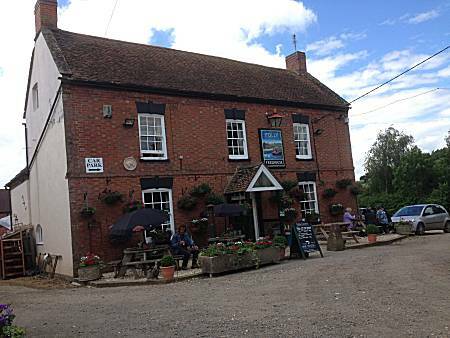 Completing the final section of their mission at an early hour, the crew (except Ron) visited 'The Folly Inn' where pints of Hooky Ales were awaiting them. So much did they enjoy the ale, that they vowed to return in the evening for dinners of Pie, Fish and Thai curry. However, they chose to leave the pub by 7:30pm, as they needed to return to the narrowboat to watch the Wales v Belgium match. The crew arose early to travel the short distance back to the boatyard and the end of their epic mission. The staff welcomed the crew, waiving all the formalities to enable the crew to return to their loved ones after the trauma of such a difficult journey. Despite the stress of this mission the crew knew that they must undertake an even more difficult mission at a later date and secretly commenced their planning! !